Hi everyone, it’s Andrea from The Cottage Market. 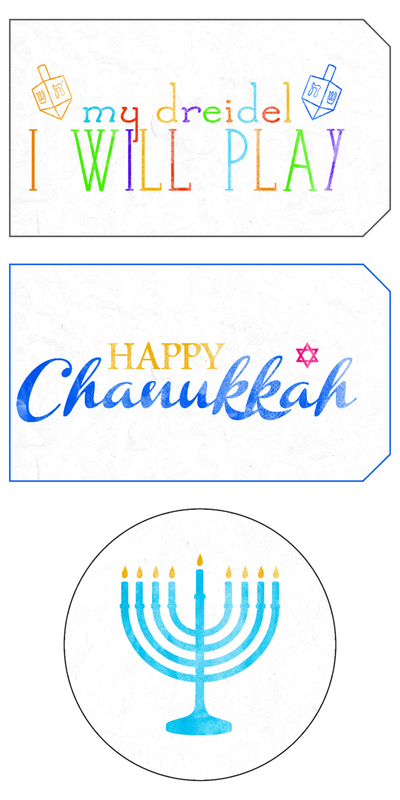 Today Keren and I are sharing a set of 6 Hanukkah Tags to celebrate the upcoming Jewish Holiday of Hanukkah…the Festival of Lights! 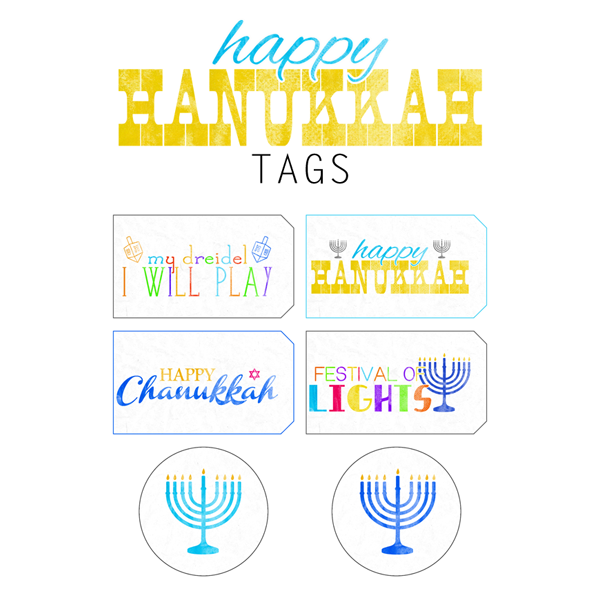 These are happy…cheerful and colorful tags that will look amazing on all of your Hanukka gifts. They are great to tie around a bottle of sparkling wine or attach it to a special baked good…you are going to want to use them on all of your gifts. 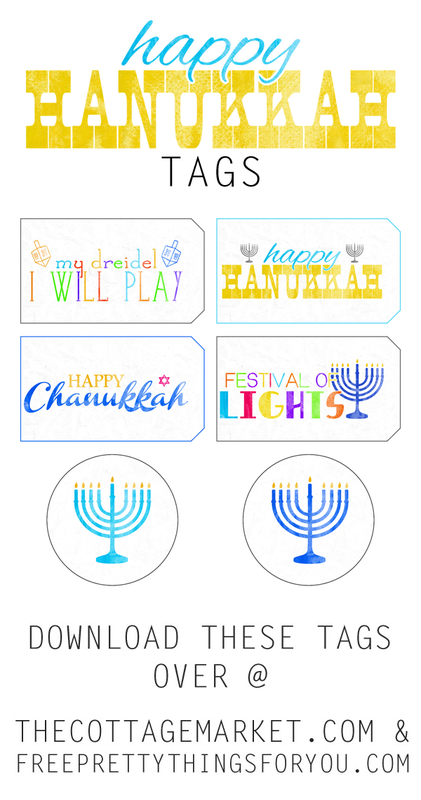 Hop on over to The Cottage Market for this 3 tag set of Hanukka Fun! 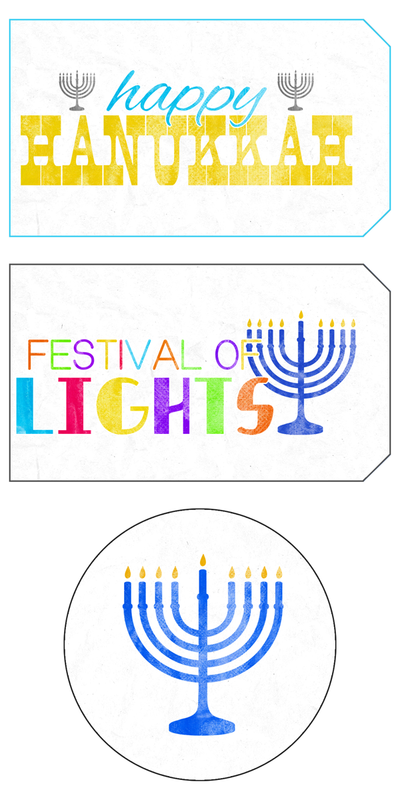 Now fire up your printer…get that card stock loaded…take out the pretty ribbon and create some special tags! Stay tuned for more Holiday Printables next Saturday! HURRAY!!! Thank you Keren and Andrea!!! !